Nairo Quintana (Movistar) finished the first stage of the Vuelta a España in the 35th position, at 30 seconds from race leader Rohan Dennis. The Colombian had a good time trial day in Malaga by stopping the clock at ten minutes and ten seconds, 30 seconds behind Dennis and being one of the better General Classification riders on the first day. "We were expecting a good result and a good time trial," said the rider at the end of the stage. "This was an important test to see how the body is responding after the Tour de France. It was a good day to awaken the body, particularly because almost all of us have not been in competition since the Tour. "We start the Vuelta a España with a lot of motivation. And we are very happy because we are a great team. I think we will enjoy this Vuelta very much and we will try to make the fans enjoy it too." 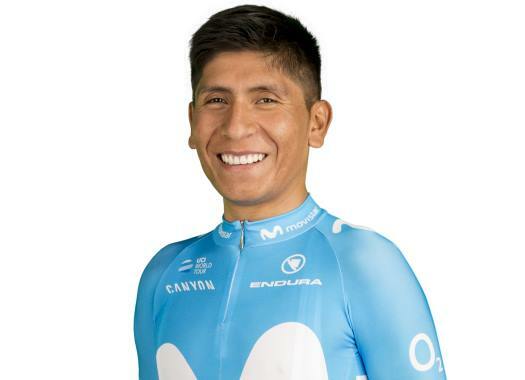 Quintana expects to be protected by the team in the second stage of the day, that has the first climbing finish of the Vuelta a España in Caminito del Rey. "I hope with the team to be well positioned in front and we have to be very focused, particularly because the road can be very slippery. We hope to be free of trouble."